Back in the early ’91, my Maternal grandfather Claude Waters, Jr [in loving memory] foresaw the impact of technology in the field of #Genealogical research and envisioned my role being pivotal in forwarding our Family History teaching it generations here and to come. Partnered with his wife, Mrs. Elsie (Culverson) Waters [living] has since blazed trails self-publishing 3 Family History books, hosting and attending Family Reunions and historically is our eldest Family member to have recently taken a DNA test at 93 years of life — HALLELUJAH with Ancestral applause; I now power forward on mission to the Genealogy Mega-Conference Roots Tech 2018, Salt Lake City, Utah. Bless you, all, for your praise, your inspiration and investment. 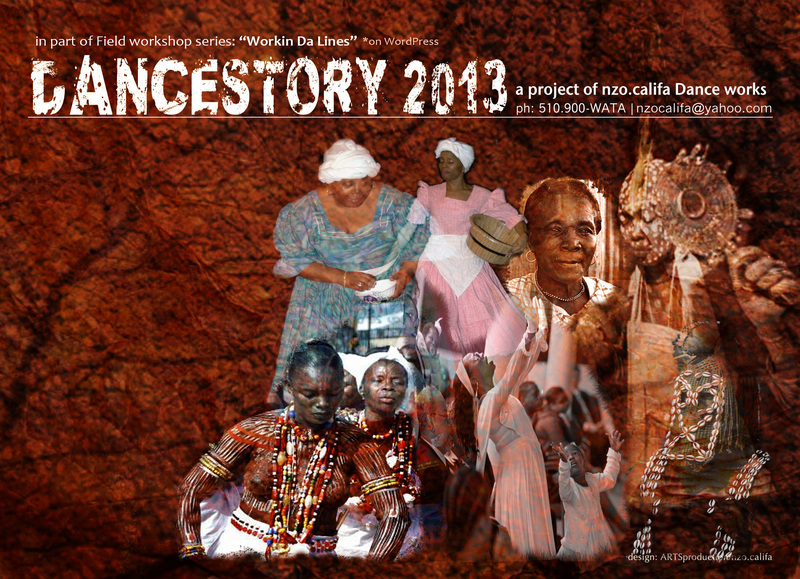 Dedicated to amplify “the story”, genealogy empowers my service works of Ancestral healing & Communal rites; Specializing in African Ancestored genealogy, I champion the field challenging diasporic historical perspectives – I step up my service to attend the largest Family History Conference in the world – ROOTStech – Salt Lake City, Utah. nzoCALIFAncestry: #Dancestory is a guided movement source of embodied knowledge – UNEARTHED. Dancestory’s deep works draws from an evolutionary mission to keep encoded sources of African Ancestral legacies linked, vital and in continuum. Empowering intentional engagement in Cultural and Community circles to select social event encounters invoking the question of researching Family ties and kinship. Participating upon panels, platforms and conferences elevating the Genealogy component promoting Ancestral/Communal Healing initiatives. Bringing these experiences to Diaspora Dance workshops experiences utilizing historical cultural narratives gathered to inform the #Dance. #Dancestory2015 – Whose Do You Belong To?! ‪#‎Dancestory2015‬, staying on the ‪#‎Rite‬ track, encouraging fellow sojourners of interest, as I’ve forged ahead braving new frontier genealogy geeked-out, destined to bring to light those Ancestors who’ve touched these shores first. Yet, what I’ve found I LOVE most about New Orleans as well as the culture, is the Spirit of the People and their resilient, brilliant quality to thrive; It brings to light the fact that it’s an integral Ancestral portal in the United States tied to the world; right across its Mississippi is the historic Algiers Point aka Kings Landing – there exists a commemorative installation wall, a vibrantly painted fence, bearing the names of African nations who set foot upon the land before their fate of being sold across the river — Bambara, Mande, Ibo, Fulbe, Yoruba, Wangara, Tchamba, Congo, to name a few. On this trek, I’ve enjoyed the conversations amongst you that are Soul deep, becoming invocations to heal and an invitation to unearth another Family name – an Ancestor. I thank you for the exchange and enlightenment. Keep meeting in kinship, organizing Reunions, milk the holidays or make it an occasion to come together as Family, Commune-Unity, as Society and lift the names of those before us, bearing the sacred wisdom that shall lead us to better lives. 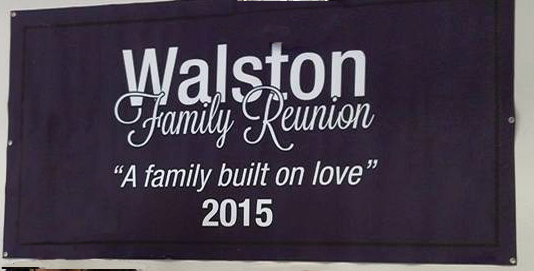 S/O to my kin ‪#‎Walston‬, ‪#‎VanHook‬, ‪#‎Livingston‬, ‪#‎Waters‬ at this year’s Family Reunion 2015 SACTO. 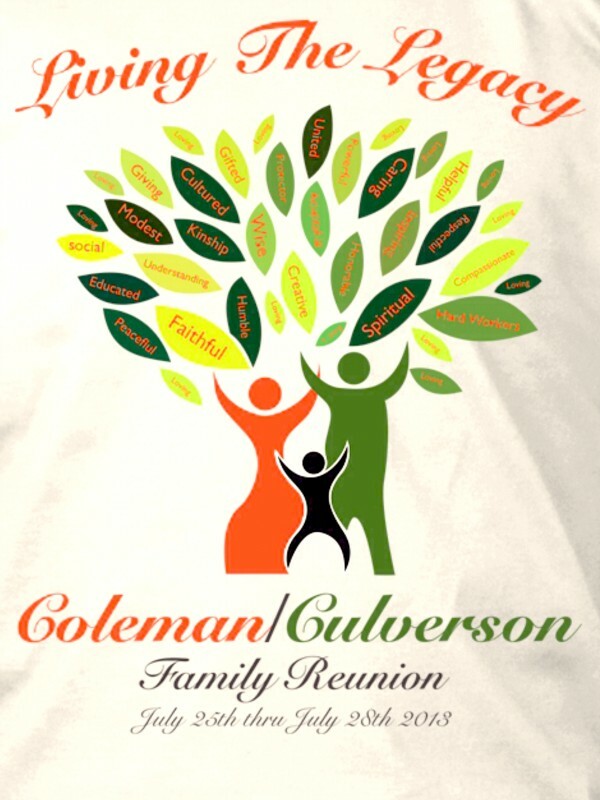 Next up those #Colemans & #Culversons. I’ll share more about my experience of the exhibit and if you have a genealogy Sojourn, I’d love to hear it. Thank you ALL ahead for your continued support to #Dancestory2015 campaign. #Dancestory2014: In the Lab, now OPEN FOR OFFICE! [this Fall] Ongoing works of a Professional Teaching-Artist/Genealogist that skillfully weaves and de-mystify historical vestiges of truth unearthing Family histories. My works foster deeper study through genealogical techniques, exercising fundamental methods and strategies to conduct sound research. Information gathered serves to facilitate a transcendental “binding” of its Commune+Unity constituents, engaging participants in healthy discourse, by taking inventory of our community Cultural Arts-building, wellness, and how we are preserving ourselves. We begin with one’s own story, including those WE belong to known and those yet to be discovered. 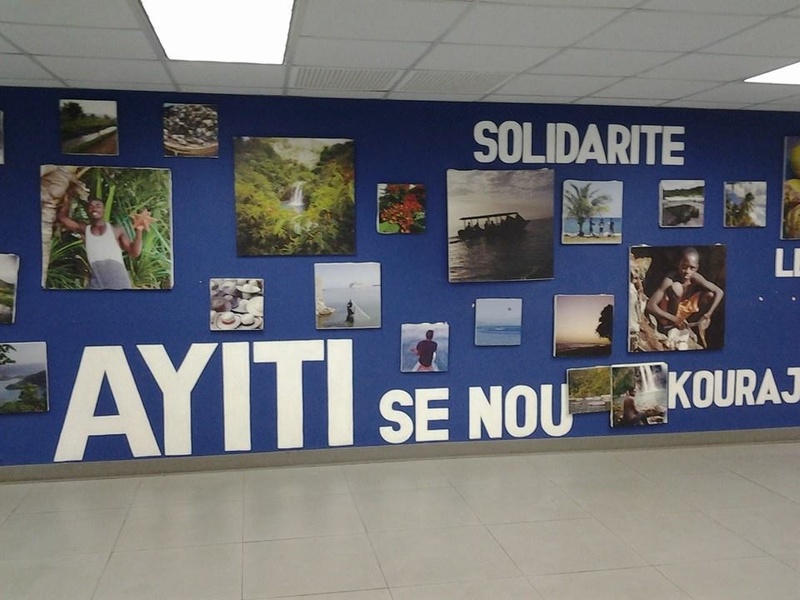 OCT. 2014 – #Dancestory2014: Kinship travel across the waters to Ayiti! “Dancestory” is a guided movement source of embodied knowledge – UNEARTHED. and HOW can one’s role as a Dance “Medium”, serve as a social change agent of empowerment. sources of African Ancestral Legacies linked, vital and in the continuum. AGO Ire’ o Monday, Ago lona! 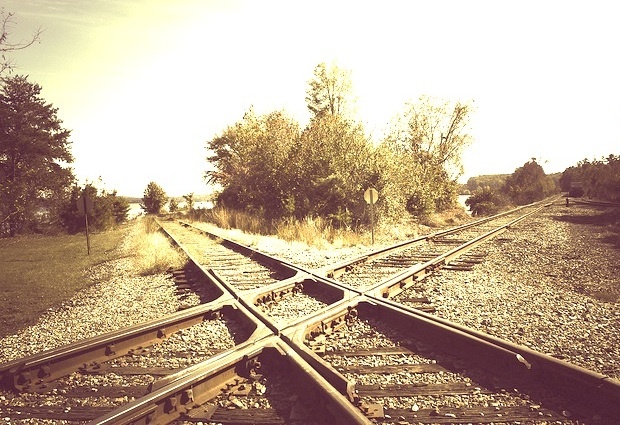 May the divine messenger protect, guide and grant you good fortune at life’s crossroad. Oakland, CA –> If I had to speak upon the challenges of being in the field “unearthing” upon this #Dancestory2013 Sojourn season, I’d say it’d be about the insurmountable repercussions — YET, it does not outweigh the phenomenal outcomes, especially with proficient guardianship. Truth be told these lines are “ working ” me; To date, I’ve “ worked ” 2 out of my 4 Family lines to the “last Ancestor” obtaining the names of the slave master(s). *next episode* In following the commandment of my maternal Grandfather, “ take care of your own backyard ”, some of you have honored these works with your exchange of inspirational testimonies or taken on the task to further your Family lines privy discussion. Others have taken first steps of introduction, honoring the service. In the field of African Ancestored Genealogy, amongst my mentors and colleagues, we affirm that there are no “Brick Walls”. I certainly have witnessed countless truths to be shown and proven alive and evolving in the Bay Area, California. Amidst this Harvest Ancestral Season, the sharing of abundant fruits of prosperity is vital to the sustenance of Family and Community, through your stewardship. As a trained runner for at least one-third of my life, I value the workings of a relay team – each leg critical to the race from the beginning to the end; I have experienced so much more about being a winner, placing value upon training expertise and the quality of support. It becomes fundamentally critical that one demonstrates mutual respect for one another to ensure a successful pass. In this October blog post of “ Working da lines ”, I acknowledge my team members online and “ onda ground ” and for those who shall remain anonymous, I am equally grateful. Also, delighted to have new leg members as recent donors: Tonya Hennessey, Luanda Wesley and Jean Goans. Thank you for new breath necessary to anchor my next feat, as the Sojourn nears its phase of this campaign, November 30th. All are invited to peruse the working pages of this blog. 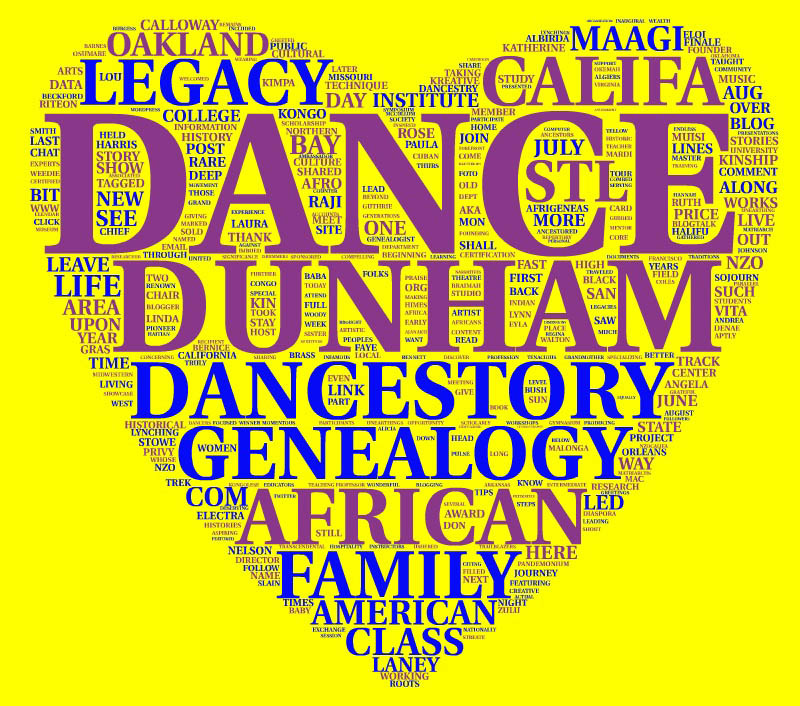 Discover “the Calling”, see the Surnames collected, and learn about this Dancestory Sojourn. Be inspired to “rite” your own. No need to try out for this team, there are so many ways guide “The Give” guided. I welcome your uplift and inquiry. 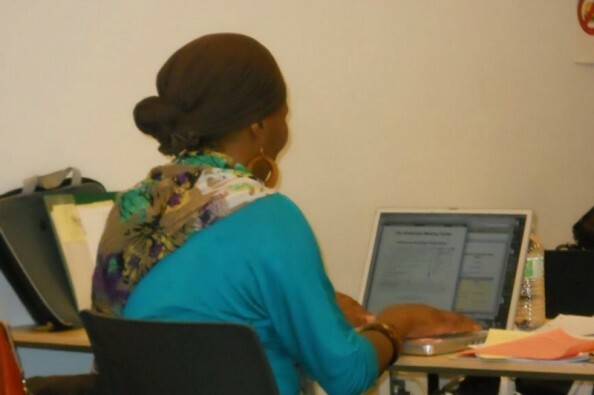 Genealogists serve in a multitude of professional arenas. 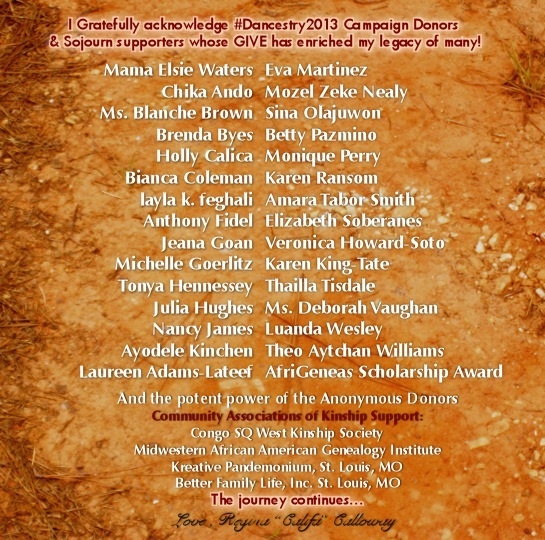 Most recently, beginning as Curatorial Director, I was privy to participate in the stellar session works and creation of Counter Pulse’s Performing Artist Diaspora Festival Artist, Muisi-Kongo Malonga and her phenomenal debut as a solo Artist birthed through “Kimpa Vita” – dauntingly yet always guided we prayed, researched and gathered oral narratives, combed scholarly works and built compelling stories focused upon 3 iconic travesties of justice involving African American Women resonating with the movement and demise of this Kongolese Matriarch and Warrioress of Old Kongo Kingdom – Mama #KimpaVita . The solo choreopera first debuted in San Francisco as an excerpt, witnessed by 3 sold-out audiences. Wearing the “Directorial” hat was like balancing a 50lb laundry basket upon my head. Yet through training and mentorship, I focused on balance, determine to obtain the evidence, unearth associated documents and to my surprise discovered rare graphic depictions concerning these African American Women, dating back to as early as 1865. Colleagues, Family and Mama Kimpa kept ushering the birth. YES, as veneration did speak, we sensed that there was more than the elevation of these Spirits. There was a remarked impression concerning the African American Women; it revealed an inherent ignorance about such an abominable era of American History, at the same time de-mystified who Mama Kimpa Vita was, invoking more interest to know her story deserving to be told in her own rites -WAH! #DANCESTORY2013 – Have added #AK to the #MSY leg! I invite you to join the sojourn and support OUR stories that deserve to be preserved.